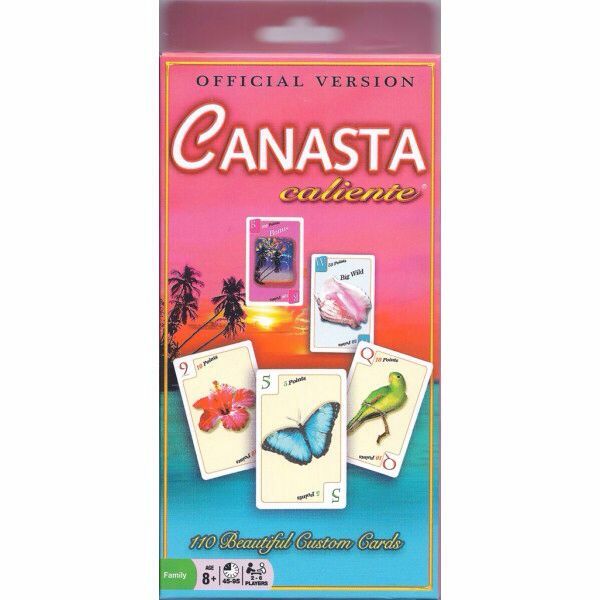 Canasta burst onto the scene in 1950 and created the biggest card game craze to ever hit the country. Millions were (and are) captivated by the tantalizing twists of this great game and its romantic South American origin. Game play is authentic. Your partnership aims to score 5000 points by laying down sets of cards and adding to them. Claiming the Prize pile can make your point total soar. Freezing the Prize pile helps thwart your opponents. Form a Canasta (7 or more cards of the same type) then go out and claim your bonuses. Play with the special (optional) Caliente (“hot”) cards and add an exciting 21st century variation to the game.